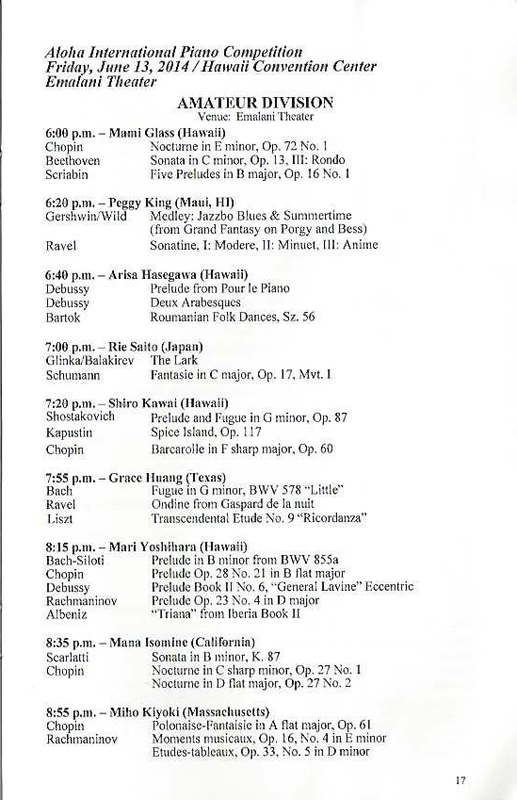 Maui Piano Amateurs Festival (MOPAF) was created as an educational forum in the Art of the Piano for classical non-professional musicians. MOPAF believes that music and the performing arts contribute to the enrichment of our lives. MOPAF’s objective is to make your time with us a joyous experience. We will always be delighted to see you in Maui, either as a participant or among the audience. Where you come as a performer or, audience member, we want you to leave - = - MOPAF’ events musically enriched with new friends who share your enthusiasm for the piano. Professional pianists may not participate. Minimum age: 25 (no upper age limit).